The physical stresses and exertion involved in caring for nursing home and hospital patients has caused rising numbers of back injuries and other musculoskeletal problems among direct caregivers. We see these same injuries and problems arising in the home health care setting as well. These injuries generally result from the long-term cumulative physical effort of patient transfers as well as acute effects, which result from accidents during transfers. They may also develop from a “peak load”. Peak loads occur when a onetime task or event is performed that requires the body to perform above its capacity. Registered nurses, registered practical nurses, and health care aides who experience injury and disability from muscoloskeletal injuries face suffering and economic loss. Employers have faced rising workers’ compensation and other lost time costs as well as shortages of needed staff. An ergonomic approach to patient handling that is part of an overall program to reduce musculoskeletal injuries can benefit caregivers and employers alike. A critical issue in ergonomic patient handling is the distinction between a patient or resident transfer and a lift. A transfer is a dynamic effort in which the client aids in the transfer and is able to bear weight on at least one leg. A lift involves moving a client who cannot bear weight on at least one leg. Lifts should always involve mechanical lifting devices. Injuries to caregivers during patient and resident transfers usually occur when a patient transfer suddenly becomes a patient lift. Assessment of the client’s capabilities therefore becomes a critical component of any ergonomic patient-handling program. Clients who suddenly lose their balance must be identified to determine whether two caregivers are necessary to affect a transfer or whether a mechanical device is necessary. The relative sizes of the caregiver and the patient must be considered when one is determining the need for additional staff to aid in a transfer or the need for a mechanical lift. The weight and height differences may dictate the necessity of mechanical assistance. 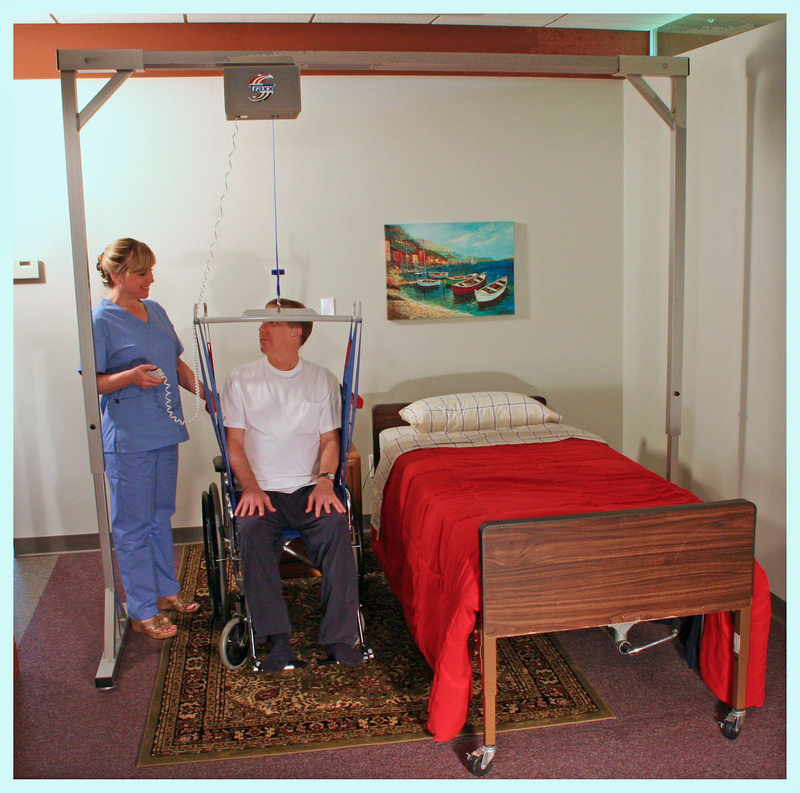 The Traxx Mobility Systems Titan 500 Overhead Patient Lift is a mechanical lift device that can lower the risk of injury to caregivers. A freestanding frame supports an overhead track that allows a rechargeable electric lift motor to glide gently with little effort on the caregivers part. 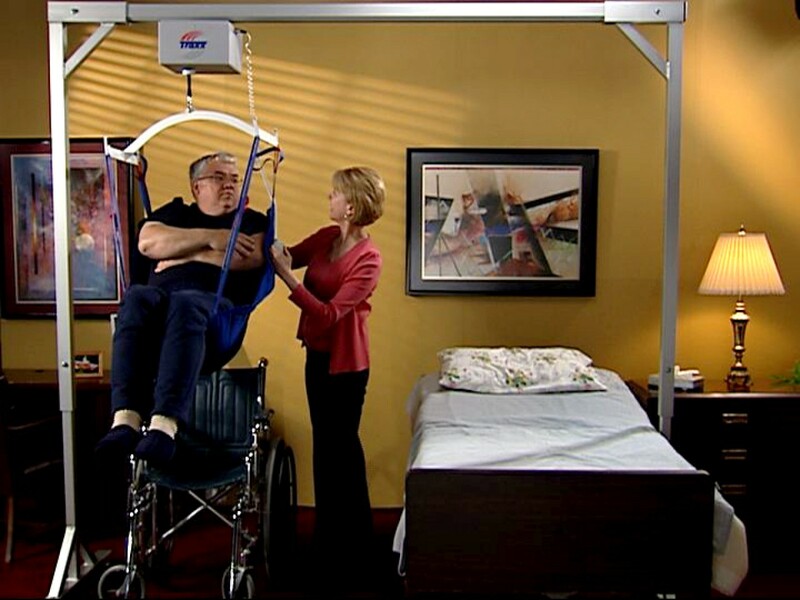 The Titan 500 Overhead Patient Lift is ideal for home health care situations and requires only one caregiver to transfer a patient from bed to wheelchair and back again. We here at Traxx Mobility Systems got in to the patient lift business because we believed we could build a better lift at an affordable price. Something that can positively affect people in need on a daily basis. I think we share that passion with these people. “About 3 years ago – a prop maker in the USA made a steam punk costume hand and put a video of it online. A carpenter in South Africa who had cut off 4 of his fingers, saw the video and contacted him to ask if he might consider helping to make real fingers for real people. Together the two men worked for a year in their garages – from 10,000 miles away from one another. They shared ideas back and forth across the internet and came up with a prototype for a 3d printed prosthetic hand. It was far from perfect and needed improvements. The men released the design out into the world as an open source design, public domain – so that anyone, anywhere in the world could download it and take the files and improve the design – so that someday – the design would be able to help hundreds and thousands of people. Today – this is how far it has come in just a year and a half since it was uploaded to the internet for the world to “Tinker” with. The design that inspired the creation of E-Nable – an online community of over 1200 people around the world who continue to redesign and reshare and create. Never in a million years did the prop maker think that his “crazy steampunk metal mechanical hand contraption” – would end up changing the lives of many. Never underestimate the power of your imagination. Physical activity is important to maintain in to old age. It adds years to life, and life to years. A study in the British Journal of Sports Medicine (BJSM) shows Tai Chi improves mental well-being and helps prevent falls. 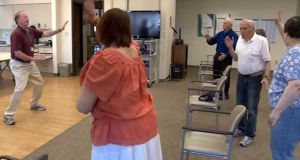 Tai Chi class at the InnovAge Johnson Adult Day Program in Englewood, Colorado. Who wouldn’t want to stay in their own home and grow old with your loved one. There are many options for older adults to aid their choice of home care or home health care. Reverse mortgages, home health aides, affordable home medical devices and furniture can help make the choice to stay put easier. If you have mobility issues, staying in your home presents unique challenges. Simple tasks like getting out of bed or using the restroom can put additional stress and strain on yourself and your caregiver. Often, the primary caregiver is a loved one, who may have physical limitations as well. Home medical equipment should be reliable, affordable, helpful and easy to use. The Traxx Mobility Systems Titan 500 Overhead Patient Lift has been designed to meet all four of these criteria. 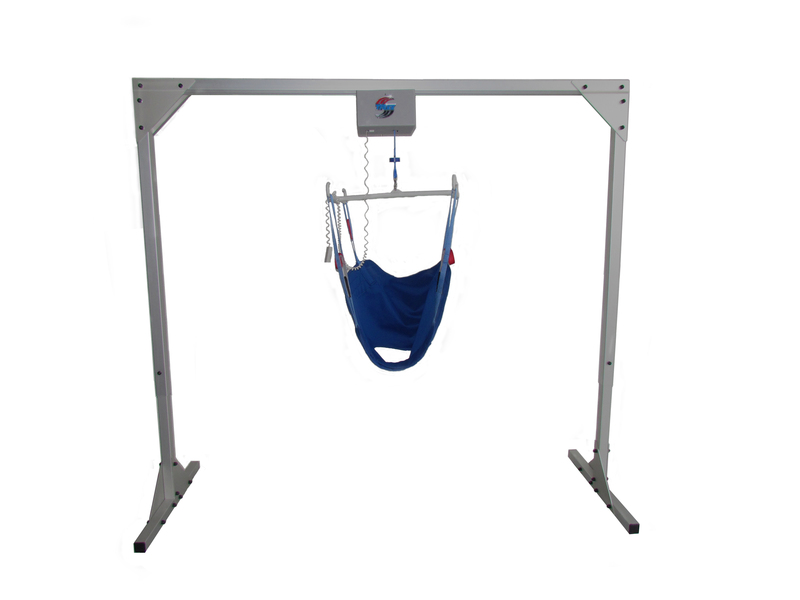 The overhead track system ships as a complete unit, including the sling, and does not attach to the home. A heavy-duty, freestanding aluminum frame and overhead track support a fully rechargeable electric lift motor. A four-point lift bar creates a more secure and comfortable lift experience for the patient. The most important aspect of the Titan 500 is the ease of use. A simple handheld remote powers the lift up and down while the motor unit and sling easily glide along the overhead track to transfer the patient in and out of bed. 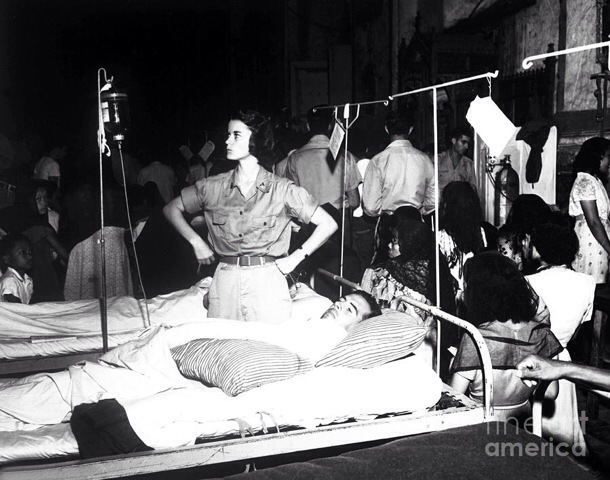 No heavy lifting or straining for the caregiver and a secure and dignified transfer for the patient. For more information, visit our website, find us on Facebook, follow us on Twitter or watch our YouTube channel.